Strictly no recruitment agencies. You must have the right to work in the UK. The Kobas team is on the look out for new talent to join us in Southwark, just a few minutes walk for London Waterloo and London Bridge. We provide software-as-a-service to the hospitality industry that completely transforms their operational routine from dull spreadsheet-based bump and grind to quick, point and click management of their bars and restaurants. We unite with our customers to help them not only benefit from our industry leading technology, but also to ensure that best practices are followed so that knowledge is shared allowing all our clients to achieve maximum ROI. We’re boot-strapped and enjoying a period of unprecedented growth. We’re proud of our software but we’re also proud to be real people; we don’t hide behind our website. We’re looking for people to come onboard and really make a difference. We’re a small company, so this is an excellent opportunity to join at ground level and grow with us. You’ll sit with the founders, be welcome to join us for meals, social events, and of course our regular evenings out with our favourite clients! Specific vacancies are listed below. We’re always interested in talent though, and we’re just as happy to consider you whether you’re looking for full-time, part-time, temporary or permanent work. Career growth – we want you to grow with us. Regular social events – we are in the hospitality sector after all! Cool new tech, your choice of hardware and OS, multiple monitors etc. Free fresh fruit, tea, coffee, soft drinks etc. Simply the most wondrous company and conversation you can imagine! 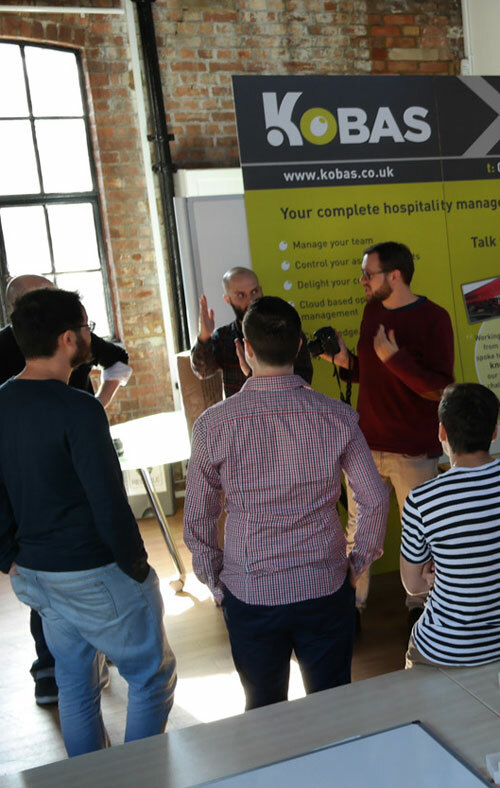 To apply for any of these roles, or if you just want to bring yourself to our attention, send your CV and a covering letter to jobs@kobas.co.uk with a pertinent subject line and we’ll take a look.